Where do you need Awning Companies? Comment: We are a restaurant that needs our front fabric awning replaced. The metal framing is good. We would also want lettering on the awning. Comment: Former restaurant at 907 marietta st called Figo installed awnings with their logo. I would like to remove some and replace others. Comment: Screening in a 12 x 12 wooden pergola with deck. Want to cover the pergola roof to keep out rain, flying pests and insects. Comment: I need a 8' to10' x 18' to 20' awning cantilever 8' to 10' over a driveway from a frame along the 18' to 20' side. The frame would have to be 7' to 8' high. Atlanta Awning Companies are rated 4.81 out of 5 based on 60 reviews of 10 pros. 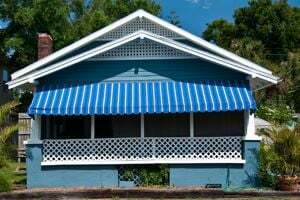 Not Looking for Awnings Contractors in Atlanta, GA?